As a dog owner, especially as a new dog owner, the thought of your dog being sick is frightening. However, it is vital that you gain an understanding of some of the most common dog health problems. This will not only reduce shock and anxiety when your dog does get sick, but it will also allow you to act fast when something is potentially wrong. Minor problems like flea infections can be easily dealt with however, even major problems can be fixed when handled quickly enough. In this article we are going to outline some of the most common dog health problems. Recognizing the symptoms could essentially save your dog’s life. One of the most common dog health problems are fleas, ticks and skin problems. Modern technology has greatly reduced this problem but it still exists. Typically, flea collars facilitate the prevention of flea and tick issues. Flea collars however, are not suitable for all dogs, these collars often feel uncomfortable for the dog, but some dogs are happy to wear them. It is always best to give it a try to see how your dog feels about wearing it. Another option for fleas is topical medication as well as flea pills, these are prescribed by your veterinarian. How Do You Know When Your Dog Has a Flea Issue? Spotting flea symptoms is relatively simple. One of the most obvious signs is constant licking, biting or scratching of the skin, hair loss and red patches. Tick problems often come with a fever and continuous shaking of the head. Ticks often bury themselves into the ear canals causing irritation for the dog. Pay close attention to your dog and if you see any of these symptoms take him/her to the vet straight away. Fleas can quickly spread, and ticks often cause lyme disease. Another option to get rid of the fleas or ticks is to use flea and tick removal shampoo. You can also try the combing method to remove any fleas or ticks from your dog’s fur. Prescription pills can kill the fleas or ticks in a few hours, remember this though, if you have other dogs or pets in the house, they all need to be treated if one of your dogs has fleas or ticks. Bear in mind that red patches on the skin do not always signify fleas or ticks. These patches can also point to other skin issues. For example, moist dermatitis, allergies to grooming products, food allergies and atrophy which is a common disease found in golden retrievers, Labs and Shih Tzus. This skin problem causes itchy face, feet and stomach. When it comes to skin problems like atrophy consider trimming the areas where the irritation is most prominent. Also wash the areas with water-based antiseptic, you could also visit your vet so that they can prescribe your dog with some hydrocortisone cream or spray. If this skin disease spreads it can cause other issues such as adrenal problems, therefore, it is vital that you deal with the problem quickly. Your dog will probably have to wear a head cone to prevent him/her from scratching the affected areas. If you notice that your dog is experiencing hair loss on the tail, rear legs and trunk, it could be a symptom of a well-known disease called hypothyroidism. When the thyroid gland is underactive the dog will typically experience hair loss in the tail or rear legs. Also look out for flaky and dry skin, dull coat and black skin patches. Advanced hypothyroidism can lead to weight gain, infection and fatigue. Do not ignore these symptoms because if left untreated, your dog might experience seizures and heart problems as a result of the disease. If your dog is diagnosed with hypothyroidism, your vet will prescribe a hormone that will eliminate the problem. This illness is most commonly found in medium to large adult dogs. Look out for these symptoms if your dog falls into this category, other dogs can also suffer from hypothyroidism therefore, pay close attention to your dog and check them on a regular basis. Signs of digestive issues include vomiting and diarrhea. Your dog might have consumed some infected or contaminated food. It is also possible that your dog is experiencing a more serious issue. Firstly, let’s focus on vomiting, if your dog only vomits once then it is likely that it is nothing to worry about. However, still take your dog to the vet as a precautionary measure. Watch your dog closely to ensure that it does not happen again. Be sure to take a look at what he has eaten that day. Analyse the vomit closely, if the vomit has streaks of blood in it, this could indicate a more serious problem. Also look out for fatigue and constant diarrhea, digestive problems can be caused by food allergies or bacterial or viral infections. It is important that you pay attention to the symptoms and take action if necessary. Vomiting can be caused by serious illnesses like pancreatitis, intestinal bowel disease, liver or kidney failure or canine parvovirus which is a life-threatening illness. 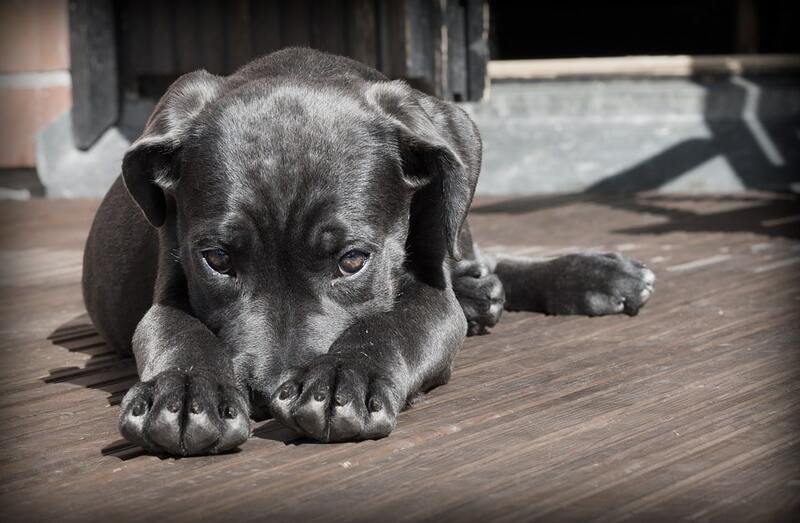 Canine parvovirus is common in Labradors, American Staffordshire Terriers, Rottweilers, Dobermans and German Shepherds. If you notice that your dog has constant diarrhea, he could be suffering from the same issues mentioned above. It is always best to take your dog along to the vet to get it checked, never assume it is nothing serious or try to diagnose the problem yourself. Always pay close attention to the symptoms and relay the symptoms to your vet. Better still, write down the symptoms and make a food log to ensure you are armed with all the necessary information to give to your vet. Vomiting and diarrhea is often caused by minor issues however, they could point to something more serious such as cancer or serious bowel conditions. When you notice that your dog is vomiting or suffering from diarrhea, you should cease all food consumption and only give him water. If the symptoms persist for more than 24 hours, or if you notice blood in his stool, you should definitely take him to the vet to get a professional diagnosis. Did you know that dogs have a vertical ear canal unlike ours which is horizontal. This makes ear infections very common in dogs. Dogs who have lots of hair growth in the ears as well as dogs with floppy ears suffer with ear infections most. Nonetheless, ear infections are common in most dogs. Yeast and bacteria are the most common causes of ear infections in dogs, although sometimes hair, mites and ear wax can lead to infections too. If you see your dog scratching the ear area, if it is swollen and read with yellowish discharge, your dog might have an ear infection. Dogs often walk in circles or lose balance when they have ear infections, if you notice any of this kind of behavior, take your dog to the vet, treatment usually includes ear cleaning as well as medication. Dogs have many of the same eye problems we do, and many are treated the same way. For conjunctivitis or pink eye, saline eye drops are the first line treatment, with prescription eye drops from your vet required if the problem continues for more than a couple of days. Occasional dry eye issues can be handled with artificial tears, but continuing problems call for a medication that stimulates the tear glands and occasionally surgery is required to move the dog’s tear ducts. Dogs can also get cataracts or suffer from glaucoma later in life, and they’re treated in basically the same way as they are in humans. The most common eye problems in dogs are cherry eye, entropion, cataracts and glaucoma. Cherry eye is a red tear gland that can suddenly pop and become visible underneath a dog’s eye. This is issue can often be solved with surgery. Entropion is often hereditary, and often young dogs suffer with this. With Entropion the dog’s eyelids fold and their eyelashes itch and irritate the cornea, this often causes itchy infections. The dog will experience sticky discharge and itchy, red eyes. Usually the dog will not have to undergo surgery, the problem is often solved with antibiotics however, surgery might be required if antibiotics does not get rid of the problem. Cataracts and glaucoma are serious conditions that can often cause blindness in dogs. These eye issues are commonly caused by an ongoing condition called retinal atrophy, they most often found in Tibetan terriers, spaniels and Akitas. When you notice mild or severe symptoms in your dog, take precautionary measures by taking them to be examined by a vet. Most often, minor medical conditions can progress and turn into severe medical conditions if not dealt with early enough. Therefore, it is vital that you pay attention to the way your dog acts, looks and feels to ensure that you get him the best care when he needs it.